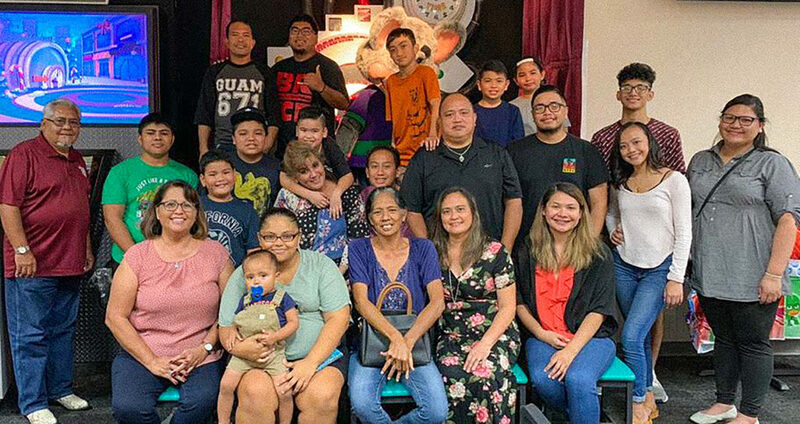 GPPT/Project Fitme family and friends gather for a group picture at our 1st Family Social Event held at Chuck E. Cheese’s. Families had the opportunity to meet and socialize during the event. (Seated L-R) Susan Dugan, Project FitMe Co-Ordinator; Julia Flores, Richard Flores, Joyce Tejeresas, Evelyn Topasna, and Jay-Lynn Mendiola. (Middle Row L-R) Mike Romero, Joseph Flores, Xavier De Jesus, Shane O’mallan, Caleb Suzuki, Trisha Suzuki, Jacob Suzuki, Wil Topasna, John Mabayag, Javier Castro, Inina Topasna, and Ashley Babauta; Project FitMe Staff. (Top Row L-R) William Tejerasas, Keoni Smau-Pescle, Gatbo Topasnas, Liam Mendiola, and Jase Almandres. 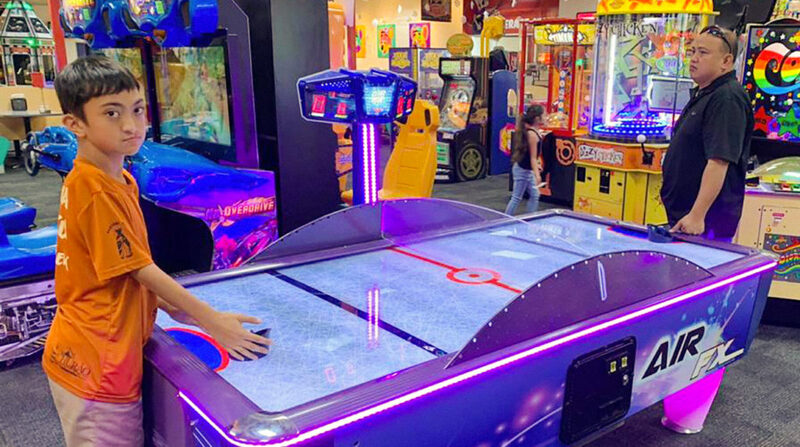 Father and son, Wil and Gatbo Topasna, enjoy playing air hockey at the 1st GPPT/Project Fitme Family Social Event at Chuck E. Cheese’s. 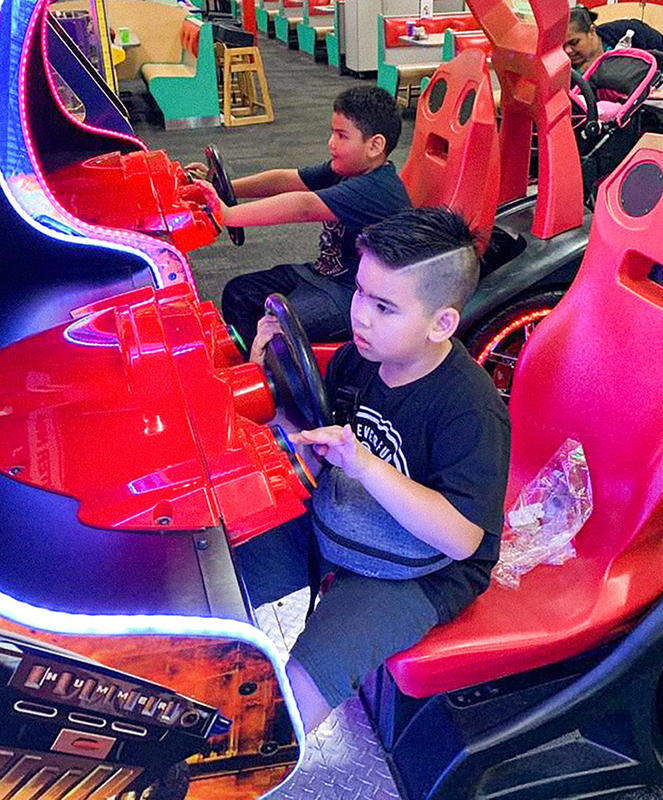 Caleb Suzuki and Xavier DeJesus play a video game during the 1st GPPT/Project Fitme Family Social Event at Chuck E. Cheese’s.